The Board of Directors of Addictions and Mental Health Ontario (AMHO) is pleased to announce Adrienne Spafford as its incoming Chief Executive Officer as of October 1, 2018. A seasoned healthcare leader that has held senior roles in both government and membership associations, Adrienne brings the skills, knowledge and understanding to advance AMHO’s vision of a comprehensive and accessible system of addictions and mental health care, and make a real, positive difference in the well-being of individuals, families and communities across Ontario. 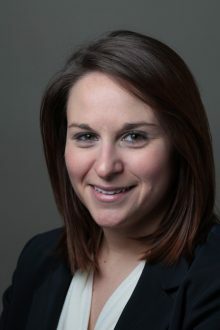 A top priority when Adrienne begins her role will be connecting with and learning from AMHO’s members and clients. She also looks forward to continuing and growing AMHO’s collaboration with partners in government and across the health and community sector. Adrienne will succeed Gail Czukar, who retired at the end of June. Until Adrienne assumes her new responsibilities, AMHO’s Director of Policy and Communications, Barney Savage, will continue as interim CEO. The Board wishes to thank Barney for the on-going leadership that he is providing to the organization.